Did you know that Ryerson used to have a rural centre and a ski lodge? The Ryerson Rural Centre or Farm was located in Millbrook, about 19 km south of Peterborough. 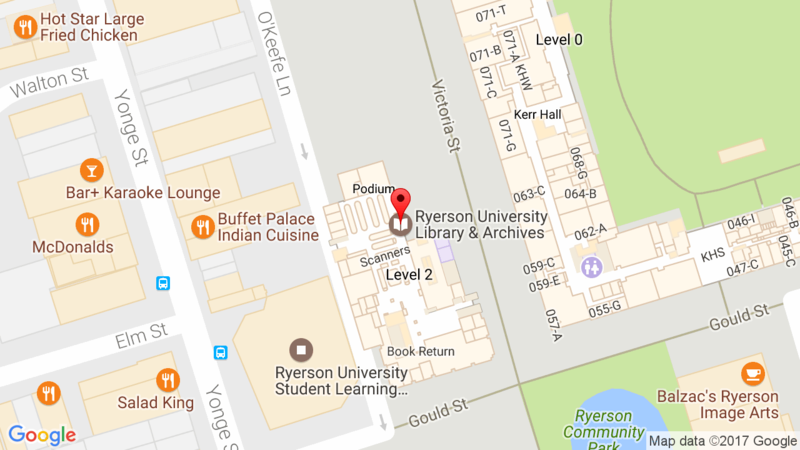 The 200 acre site was purchased in 1972 and was available for the Ryerson community to use. Activities included orientation, departmental seminars, and retreats. The farm house was equipped for over night rentals and cost an economical $2 per night. It was sold in 1980. 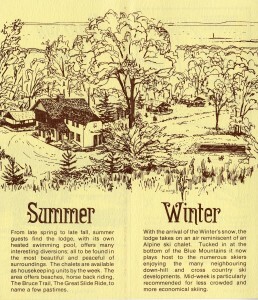 The Ryerson Blue Mountain Lodge was located just outside of Collingwood. The 7.5 acre resort, which was purchased in 1975, consisted of a central lodge, 4 chalets and boasted an outdoor heated pool. It was also available for booking by all members of the Ryerson Community and was accessible year round. It was sold in 1983. 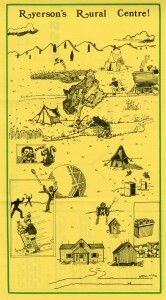 This entry was posted in Archives by Rosalynn. Bookmark the permalink.